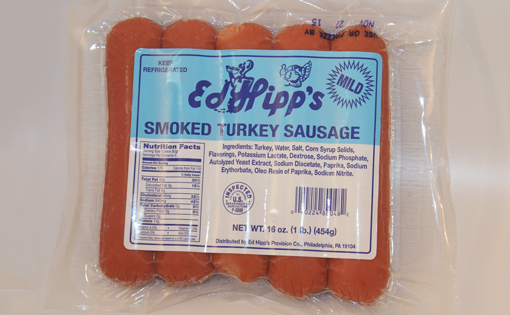 Ed Hipp’s Mild Smoked Turkey Sausage, 1 lb. 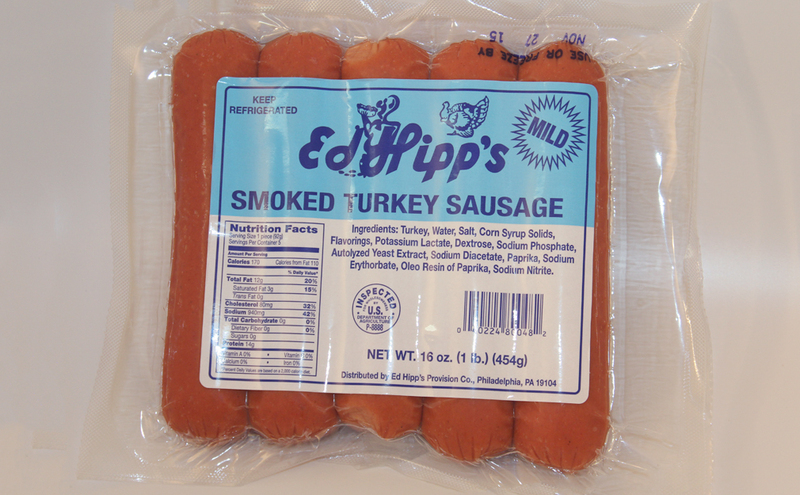 package - Ed Hipp Foods, Inc. This is a 100% turkey sausage with a mild taste that complements many other foods because it won’t overpower them. You can grill it, bake it or fry it. For a quick snack, you can microwave it. Enjoy our Mild Smoked Turkey Sausage for breakfast, lunch or dinner, on a roll or by itself. Product also available in 3 lb. package.